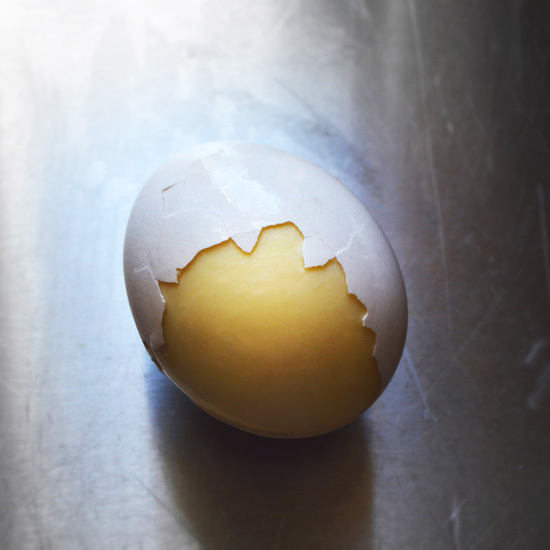 It’s not every day that someone comes up with a new way to prepare an egg. It’s not every day that someone comes up with a new way to prepare an egg. Pickled, scrambled, sunny-side up—we’ve seen it all, or so we thought. The Golden Goose is a hand-powered contraption that scrambles an egg inside the shell, creating something called a “golden egg,” which can be fried, poached, soft-boiled or hard-boiled (and then quickly peeled using F&W’s brilliant technique). The gadget is made of two handles, string and an egg holder, and uses centrifugal force to scramble the egg. The Golden Goose’s designer, Geraint Krumpe, is currently seeking funding through a Kickstarter campaign. Donations of $18 or more will get you one of the pilot products.